Location-based services were seen to be the up-and-coming trend of 2010 with many brands picking up on the popularity of operators such as FourSquare and Facebook Places. 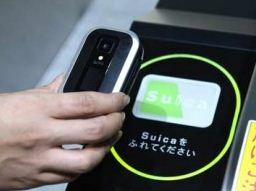 However, these aren’t the only location based services available as Visa is also dipping its toes into the water via it’s debit cards, as well as Everything Everywhere – the parent company of mobile operators T-Mobile and Orange – and Barclaycard which are forming an alliance in order to offer an NFC (near field communication) based service to customers. This is a very basic example of a location-based service but in tough economic times it’s probably quite welcome by most. Murphy USA, a US based petrol station, is offering customers who check in on FourSquare $2 off a $20 purchase of petrol as well as a packet of Stride gum – a small amount of effort for a 10% discount! 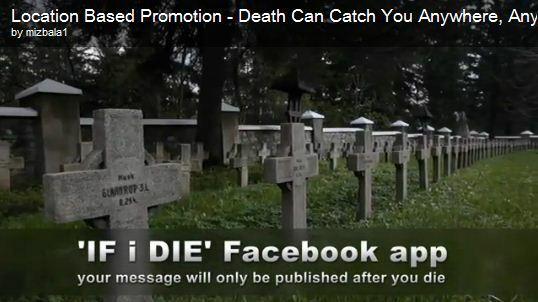 This is another fairly simple use of a location based service but this time with Facebook Places. 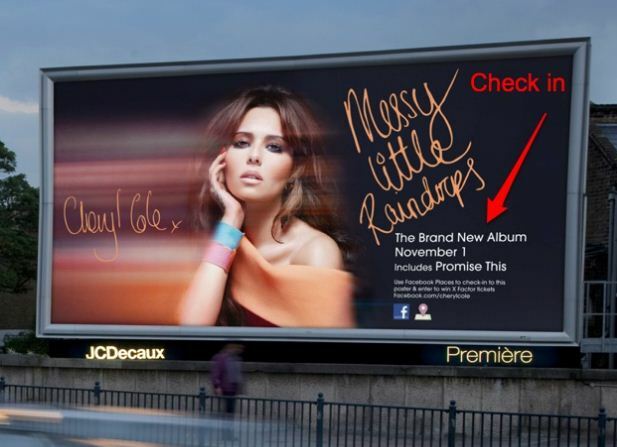 I think any billboard that features Cheryl Cole is likely to turn most people’s heads and hence a prime position to feature a ‘check in’ in order to enter a prize draw to win tickets to an X-Factor show. Straying away from the slightly more well-known location-based services, Visa is trying to employ a new kind of location-based customer experience. When a customer meets a certain criteria, such as shopping at a retailer within a particular area, or spending a specific amount within a given time-frame, they will be sent an SMS containing details of an offer they are entitled to. 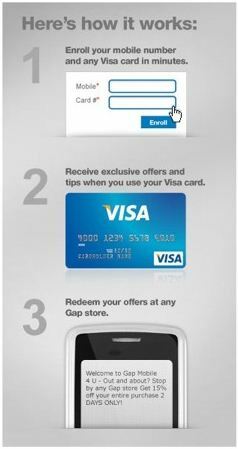 Currently, Visa only has one partner, Gap, and at present there doesn’t appear to be any further plans to expand on this. However, it is interesting to see other location-based techniques being utilised. The newly formed partnership between Everything Everywhere and Barclaycard is set to bring the UK’s first commercial contactless mobile payments service into action by using NFC, this will reduce the need for credit cards and cash and could be available as soon as July this year. However, although this is currently only geared towards making payment easier and faster, with time I’m sure the use of NFC will expand to encapsulate where consumers are and what they are buying in order to target them with relevant promotions and deals. – Leaving yourself a note which you’ll get next time you’re at the grocery store. – Receiving an SMS when you’re near apartments that match your Craigslist search criteria. – Automatically checking in to your favourite places on Foursquare if you’re there more than 10 minutes. – Turning on the lights when you get home and turning them off when you leave. Now, I’m not going to say much on this one apart from the fact that it may make you cautious as to how much information you share with location-based services in the future..! ~ by skysfridayblog on May 27, 2011. This entry was posted on May 27, 2011 at 8:30 am and is filed under Location Based Services, Technology.You can follow any responses to this entry through the RSS 2.0 feed.You can leave a response, or trackback from your own site.